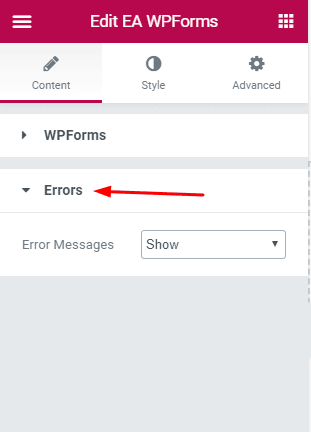 Make sure you have WPForms installed on your website. 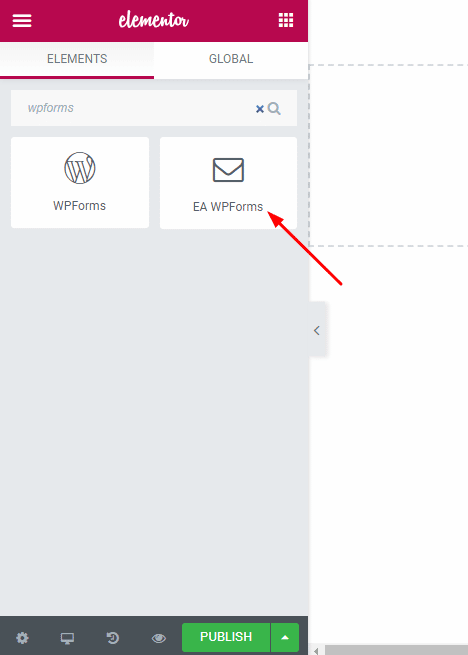 Head over to the side Panel of your Elementor Interface and search for EA WP Forms. Pick your form from the drop-down. Use the toggle bar to enable/disable custom Title and Description. Show or hide the Error Message. 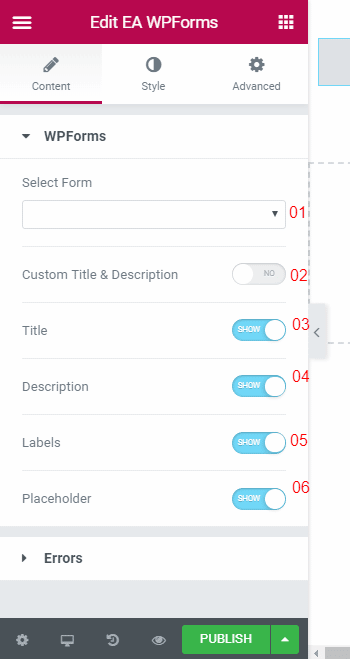 Form Container: Adjust the background color, alignment, margin, padding from here. Title and Description: Set the alignment, text color, typography, the margin for both the title and Description text. 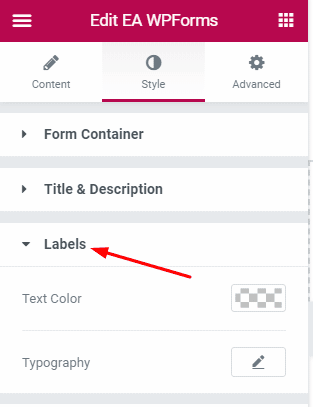 Labels: Adjust the Text Color and Typography. Adjust the styling for the Input and Textarea for both its Normal and Focus State. 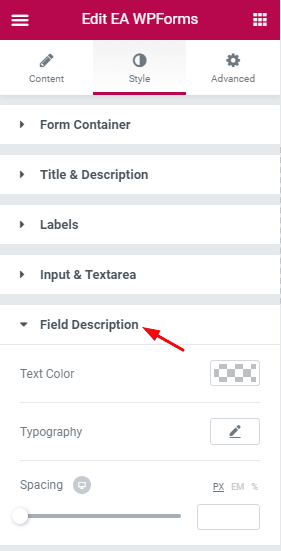 Field Description: Adjust the styling for your Field Description. PlaceHolder: Adjust the Text Color for your PlaceHolder. Radio and CheckBox: Toggle on/off the Radio and Checkbox. Submit button: Adjust alignment, width. Also, adjust the background color, text color, border type, the radius for both Normal and Hover state from here. Error: Adjust text color, Error field input border color from here.